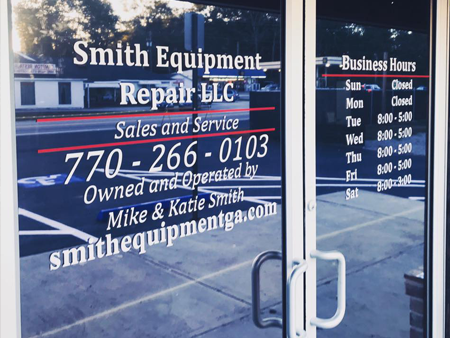 Katie and Mike Smith founded Smith Equipment LLC through hard work and perseverance. The motto of “treat others as you would like to be treated” is alive and well at Smith Equipment, and their commitment to service excellence has no doubt led to their success and customer growth. They simply have a passion for helping customers with their lawn care equipment needs. Mike started the business in his grandfather's garage, which lacked necessities such as space for equipment and air conditioning. They did not let that deter their dreams or dampen their spirits. As they took care of customers, word of mouth spread, leading to many referrals. Over time, their customer base outgrew their space and the natural progression of growing pains was soon to follow. Since this meant they were satisfying more customers than ever, they decided to move to a new location. It was not long before the new customer growth presented challenges for their business. The lack of space and limited room for specialty equipment presented major problems. Soon they began the search for a larger facility. They needed to support a larger customer volume and equipment space. Mike also needed specialized tools to support the growing service business. In 2015, the Smiths moved into their present location at 2525 Hwy 11 Monroe GA. This move allowed them to take on more product sales lines and be able to service a few other makes and models. The larger shop also gave them the room to service more customers each week. In 2016, the Smith's were awarded a BigDog Mower Dealership. BigDog offers commercial quality, top of the line zero-turn mowers. BigDog offers a much better value than the entry level products featured at the name-brand stores. When comparing “apples to apples” it became clear they are offering great products. Their customers who research other brands also see the many benefits of these great mowers. The long list of testimonials from their highly satisfied customers speaks for itself. 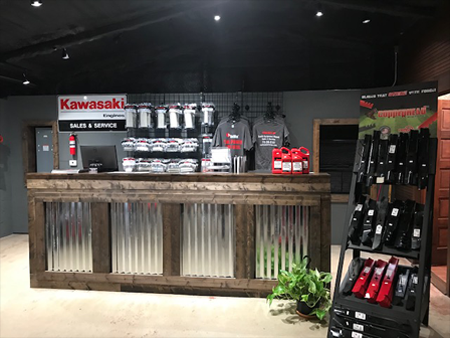 The store began offering Tanaka power equipment in 2016. Tanaka features commercial quality weed trimmers, edgers, chain saws, and hedge trimmers. 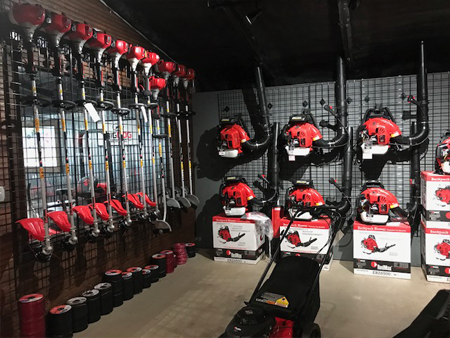 In early 2017, the Smiths began offering YBravo Mowers, RedMax, and Jonsered power equipment. The new products allows the Smiths to offer a wide range of equipment options. This provided new customer options for power, size, and price points. The Smiths are excited to serve their customers with the finest equipment on the market. For more information about their products contact the Smith's on the Contact Us page.